Common Core of Errors and Nostalgia: Where is the future of education? Oh, yeah, I know the old story about the ants and the grasshopper. But it’s really a story about traditional agriculture and the need to look no more than a year ahead, as usually told. In the classic Aesop version, the moral is about the need to prepare for “days of necessity.” The story doesn’t say anything about how the ants planned for the advent of DDT, Dieldren or Heptachlor, nor for an invasion of immigrants from Argentina, nor for the paving of the forested field they lived in. And that’s probably the point. How do we plan for what we don’t know will happen, for what we cannot even imagine will happen? Soon after the report of the President’s Commission on Excellence in Education came out, and for some years after, there was much worry about just what was the “common core” of knowledge that a modern kid would need, both to be a successful student and prepare for a life of beneficial work, family raising, voting and tax paying. 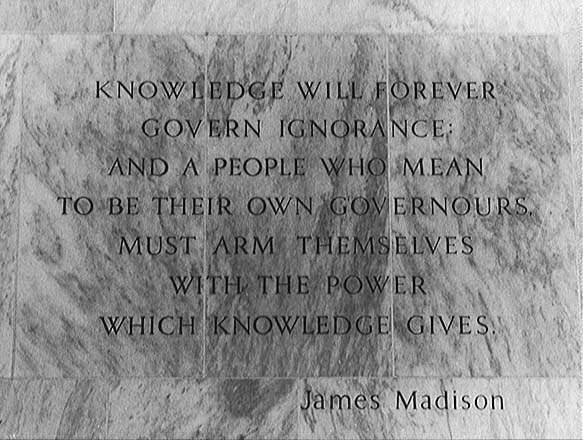 Tradition and federal law had kept (and still keep) the federal government from writing a national curriculum, leaving that task to the states and local school boards — the 50 states, plus the District of Columbia, plus territories of the Virgin Islands, Guam and Puerto Rico, and the more than 15,000 local school boards. There is no national curriculum in the U.S., nor is there agreement from state to state or district to district on just what should be taught. State standards exist, but they were supposed to be the floor above which students could soar, instead of what they have become, the too-low target at which students really aim in their drive to be good bubble-guessers. Just imagine what could be in place if Ronald Reagan had leveraged the political will engendered by the “Nation at Risk” report to get Congress to agree to a set of common standards and tests. The business career rooms are outfitted with zippy Selectric typewriters and dictation machines–Williams sees girls transcribing the tapes. He is especially pleased with the broadcast studio, where students can read the morning announcements over the public address system, meeting the standard for broadcast media. A group of students is taking French IV via distance learning there, watching a TV lecture, then mailing off their homework and quizzes. Elmwood could only afford one language lab, so Mr. Williams has phased out Latin and Spanish, deciding to offer only French in a four-year block. Rationale: the French Club can travel to France–but his rural students were not likely to meet Spanish-speaking people in the future! Flanagan’s view is entertaining, and enlightening, even in that short glimpse. Go read the rest of her fantasy. If you agree — and you will find it hard not to — can you think of ways to prevent the obvious problems? Can you think of how we could have dealt with those problems, in 1983 and 1989? Are we avoiding those problems with our curriculum standards today? Generally I argue, against those who claim any beneficial change in schools is “socialism” and should be fought, that we compete against nations who do better than we do, at least as measured by the international comparison tests — and every nation ranked above the U.S. has a national curriculum. So, I argue, there doesn’t appear to be harm in a national curriculum, per se. But as you demonstrate, there could indeed be harm in a national curriculum set in stone that is wrong — or even the wrong curriculum set in Jello. When I did quality work and consulting with big corporations, way back in 19XX, I often used the story about the difference between Nissan and GM on robotics. Nissan was seen as the wave of the future with fancy auto plants with lots of big robots doing high quality work in assembling autos. GM, on the other had, was struggling. GM sank $5 billion or so into a robotized plant in Hamtramck, Michigan — and had to close it down. Couldn’t make it work. Nissan used to make fenders by having metalworkers pound them out by hand. Nissan took a few of those workmen, and asked them to search for machines that would make their work easier. Those guys found some stamp presses, got expert on them, and Nissan was off to the races on automation. At each step, the people who actually did the work were brought in to make the next improvements. I saw one interview of a guy running several massive robots, and the interviewer asked what sort of education he’d gotten to get to that point. He said he’d started out pounding fenders with a hammer and anvil, years earlier. What is the equivalent front line worker in education today? What is the “necessary background?” Impose that on your story, you could get some good results. By the way, I was handicapped greatly by my high school education. We didn’t have enough advanced math students to get a calculus class going. So I couldn’t get calculus. But, the district said, they had purchased a brand new machine to get going in “computer math.” It was a card compiler. Students could learn to punch IBM computer cards, and that would give them a leg up in the computer world . . . I spoke with one of my high school English teachers last year — she’s the doyen of the computer lab today, an after-retirement job. Turns out the computer lab really needed someone who could teach kids to write, someone who knows grammar and a bit about reading and judging sources for research papers. What did you “plan” today? Just as a reminder about what we’re doing in education, I hope every teacher and administrator will take three minutes and view this video (that allows you some time to boggle). You are currently browsing the archives for the State Standards category.